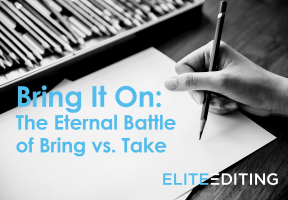 If you’re asking yourself, “What is a noun?,” you’re wrestling with one of the fundamentals of grammar. A noun is arguably the most essential part of speech because it allows us to refer to specific people, objects, or ideas by name. Everything in the world is represented by at least one noun, and by referring to this noun, we can make sure we all know which person, place, or thing we’re talking about. For this reason, nouns are often called naming words. 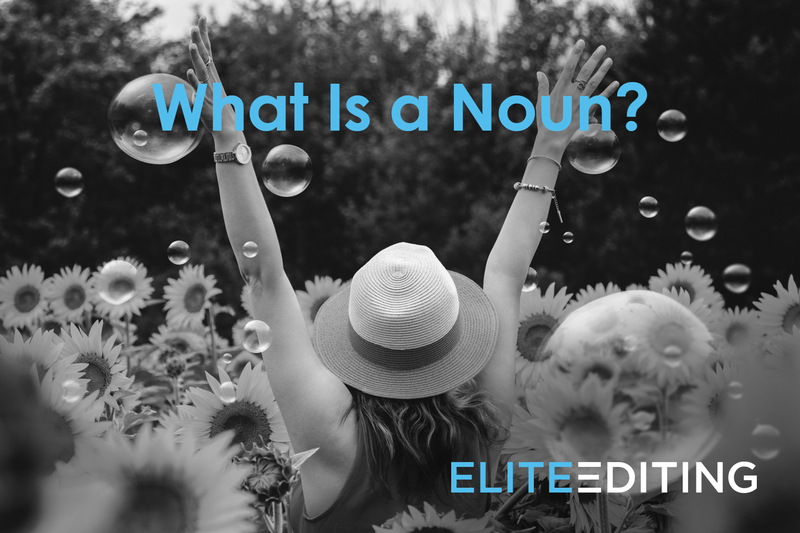 In this post, we’ll walk through the definition of a noun, the different types of nouns, and how to tell the difference between trickier noun forms that often confuse people, such as possessive nouns and nouns vs. pronouns. So what are nouns? 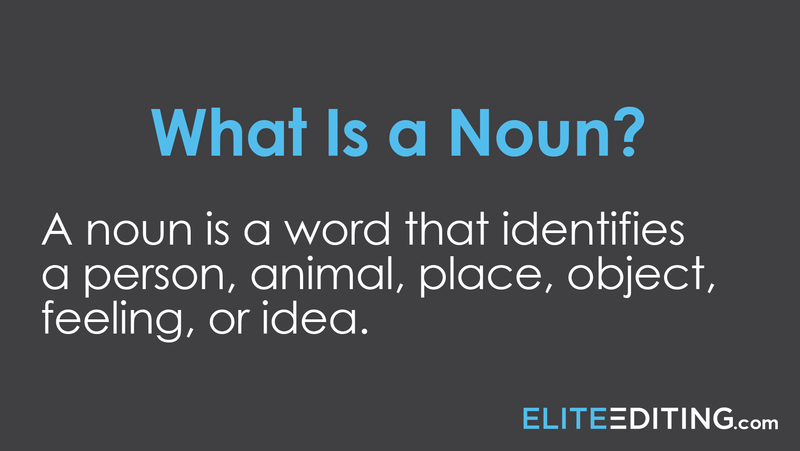 A noun is a word that identifies a person, animal, place, object, feeling, or idea. Nouns can be plural or singular, proper or common, abstract or concrete, compound, collective, or verbal. Understanding how nouns function in a sentence is the first step to effective writing. Think you can now confidently answer the question, “What is a noun?” Not so fast—this is where it gets complicated. The two most basic types of nouns are proper and common nouns. A common noun is a general name for a person, place, object, or idea. 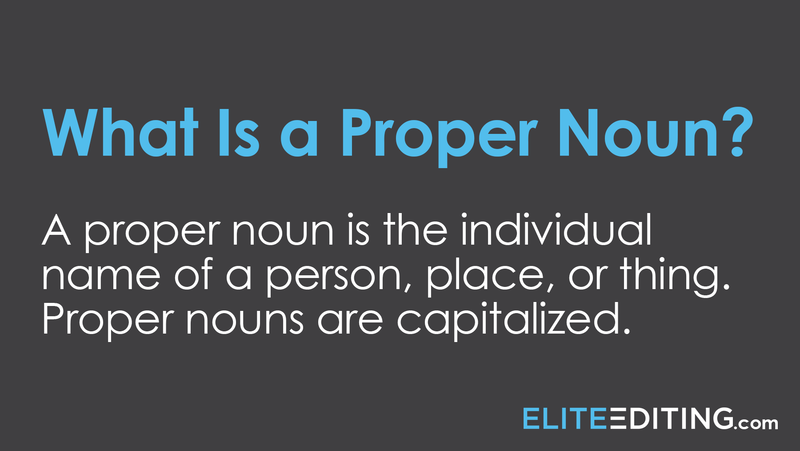 A proper noun is a personal name for a specific person, place, object, or idea. The distinguishing feature of proper and common nouns is that proper nouns are capitalized and common nouns are lowercased. Rather than a reference to a type or general idea of something, a proper noun is the individual name of that person, place, or thing. Proper nouns are capitalized. The little girl’s name is Sally. In this example, “girl” is a common noun because it refers to a type of person, and “Sally” is a proper noun because it’s a personal name indicating which specific girl we’re talking about. Yellowstone is a national park in the United States. In this example, “national park” is a common noun because it refers to a type of place, and “Yellowstone” and “United States” are both proper nouns because they’re the names of specific places. Common nouns are usually lowercased because they refer to things generally rather than specifically. There are many types of common nouns; we’ll talk about those types next. If you’re referring to something that’s tangible, visible, or otherwise able to be experienced by your physical senses, you’re using a concrete noun. This includes things like people, animals, places, objects, sounds, and smells. A collective noun is a noun that refers to a group of individuals or things rather than a single individual or item. Collective nouns can be confusing, because while a collective noun denotes a group, it’s generally used singularly; the trick is determining whether the individuals in the group are acting individually or as a unit. A verbal noun is a noun formed from a word that’s usually a verb. 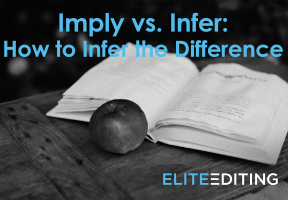 A verbal noun is often (but not always) formed by adding a suffix to a verb. Gerunds are very similar to verbal nouns because they’re also verbs used as nouns. However, gerunds are distinct from verbal nouns in the following ways: gerunds always end in -ing, but verbal nouns can end in different suffixes; gerunds are never plural, but verbal nouns can be plural; gerunds can take direct objects, but verbal nouns can’t; gerunds can’t be modified by adjectives, but verbal nouns can. Gerund: Building houses is my job. Verbal noun: The city is full of buildings. Gerund: Carly likes writing complex sentences. Verbal noun: Carly’s dense writing is difficult to read. 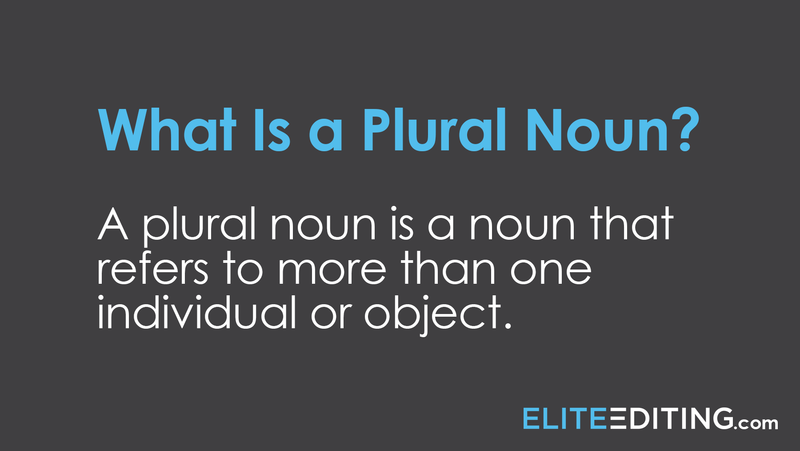 Plural nouns are similar to collective nouns in that they also refer to more than one individual or object, but where these two types of nouns differ is how they’re used: a collective noun is often used singularly, but a plural noun is always used plurally. A plural noun can be either countable or noncountable, meaning we either can count the number of individuals or items in the group, or we can’t. The easiest way to tell whether a plural noun is countable or noncountable is whether you can use a number with it. In this example, because we can count how many cookies Joe ate, “cookies” is a countable noun. Jane used butter in the cookie recipe. In this example, because “butter” isn’t made up of individual parts (so it doesn’t make sense to say how many “butters” Jane used to make the cookies), “butter” is a noncountable noun. Noncountable nouns are sometimes referred to as mass nouns. 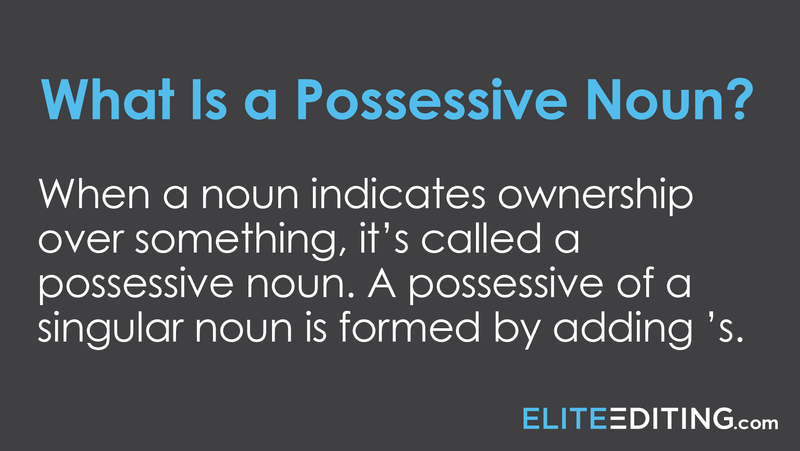 When a noun indicates ownership over something, it’s called a possessive noun. A possessive of a singular noun is formed by adding ’s. A possessive of a plural noun is formed by adding an apostrophe. 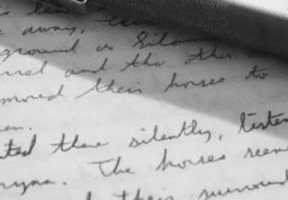 S’ denotes possession only with plural nouns, so when determining whether s’ or s’s is correct, ask yourself whether the noun is singular or plural, and follow the guidelines above. So we’ve covered the question, “What are nouns?,” but what about nouns’ counterparts, also known as pronouns? A pronoun is a word used in place of a noun so that the noun doesn’t have to be repeated more than once in a sentence. Just like nouns, pronouns can be singular, plural, and possessive. Josephine said she wanted to wear her favorite shoes to school. With these tips for identifying all the various types of nouns and their proper usages, you have all you need to know to understand and use nouns effectively. Next time you hear someone ask, “What is a noun?,” you’ll know exactly what to say! Like this post? Check out this article on verbs and adverbs, and this one on compound words. Quick Tip: What Is Syntax?